La Crosse, WI (6/20/2018) - Root River Racing’s Pro ATV Motocross rider Dylan Tremellen finished a career-best eighth overall in the AMA ATV Motocross National Championship race at Sunset Ridge MX in Walnut, IL. The historic finish shows continued growth for Tremellen as he has put together one of his most consistent seasons on record. Tremellen went 8-8 in the motos to record the historic finish. Despite high temperatures and a get-off during qualifying, Tremellen powered through and was consistent throughout the weekend. He now sits ninth in points, only two points out of eighth with three races left this season. 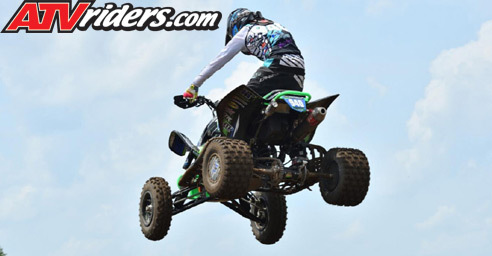 Tremellen was running a new Hoosier tire during the event that helped with the track’s notorious sandy surface. Tremellen appreciates how Hoosier works with their athletes to develop new tires. Outfitted in custom Canvas MX gear, with EKS goggles, and Deft Family gloves, Tremellen is now halfway through a season running the new gear. He definitively approves of the gears lightweight construction and durability. 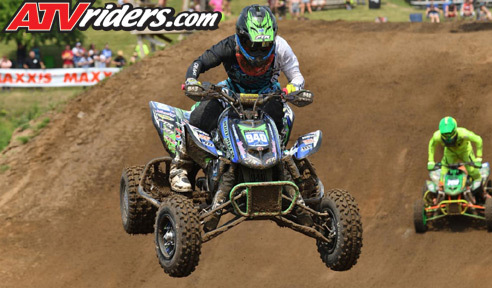 Tremellen and the rest of the Root River team will back on track at the next ATV Motocross race, scheduled for July 7-8 at Unadilla MX in New Berlin, NY.